third pThis is for broadcasters streaming on low latency channels. Please note that your low latency channels won’t work in Safari if third party cookies are not enabled. How to enable Cookie on Mac OS Sierra? 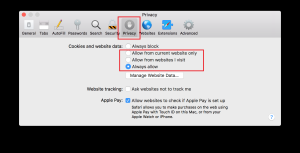 How to enable cookies in Safari in macOS High Sierra? 1/Open Safari from your Dock or Applications folder. 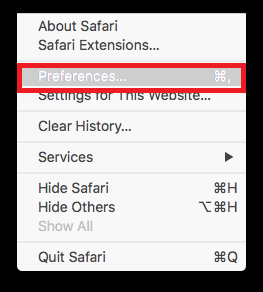 2/Click Safari in the Menu bar. 3/Click Preferences. 5/Click Privacy 6/Click to uncheck the Block all cookies box. 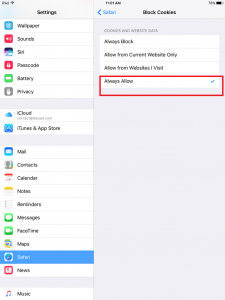 How to enable cookies in Safari for iOS 11? 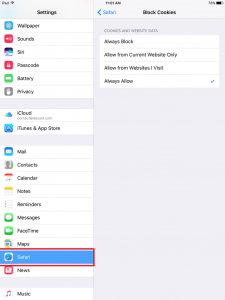 How to enable Cookie on iOS 10? in the new OS to retain some choice in the matter? What possible motivation could Apple have in restricting customers’s options for privacy? If I could ask for your expertise in a related matter: I have recently signed up with a VPN service (Express VPN) and believe I understand the premise behind how the service works. However, I am struggling to account for how websites that supposedly can not see my internet address can still send cookies to my iPad. Can you explain? So, not a specialist of the iOs 11, but I would say if there is not any other choice displayed, you might have no other choice than that. About the proxy/VPN issue: the VPN is still linking the cookies to your computer as they are relaying the information contained on the website. It “just” changes your IP address.